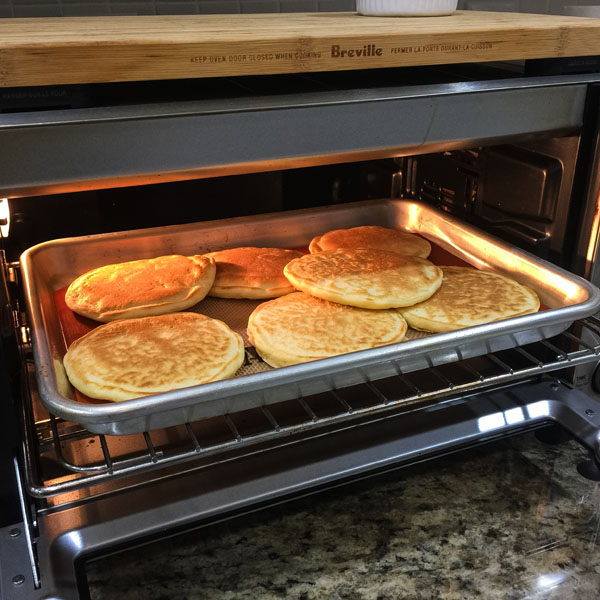 Use this quick and easy toaster oven hack to keep your pancakes warm until you’re ready to serve them. P.S. 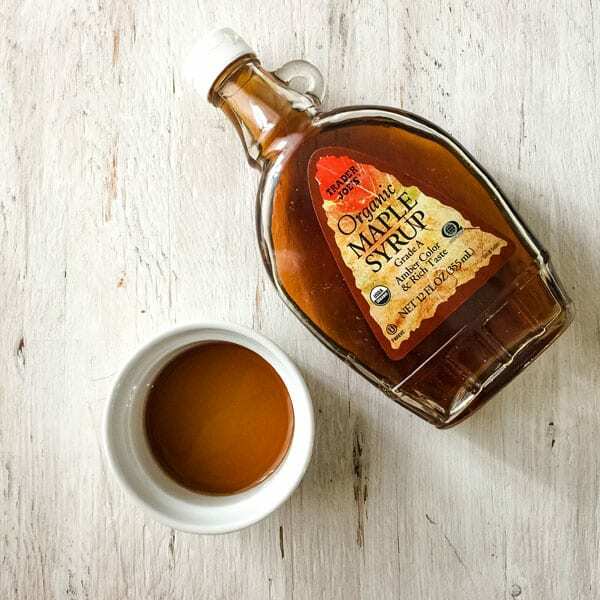 don’t skip the bonus syrup tip! My husband Tim is our resident pancake maker. Unlike me and my one-and-done baked pancake ways, he doesn’t mind standing at the stove flipping batch after batch. What he hates though is eating cold food. So how do you keep the first batch of pancakes warm while you make the rest and maybe scramble a few eggs too? You use your toaster oven! Step 1: Adjust the cooking rack to the middle position and place an empty baking sheet on the rack. 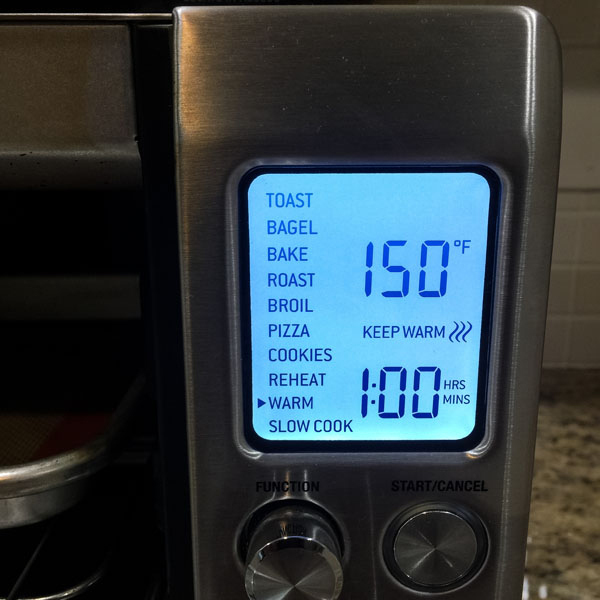 Step 2: Set the toaster oven to ‘Warm’ or 150°F and press Start. *If your toaster oven has convection, I would not recommend using it as the fan may dry out your pancakes. 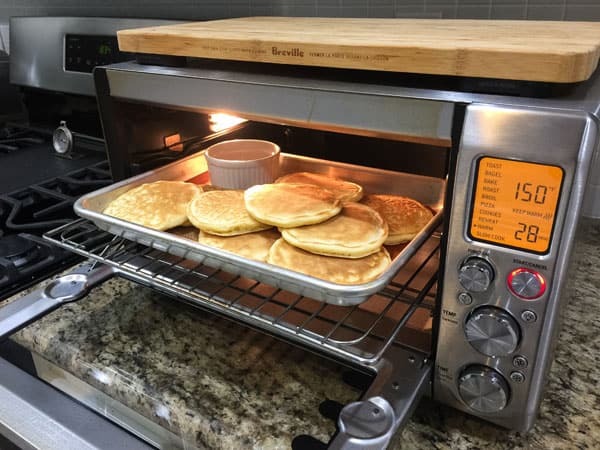 If you’re unable to turn off the convection on your toaster oven, try reducing the temperature to 120 degrees F.
Step 3: As you finish cooking a batch of pancakes transfer them to the baking sheet to keep warm while you prepare the remaining pancakes. Bonus: You Can Warm Maple Syrup Too! 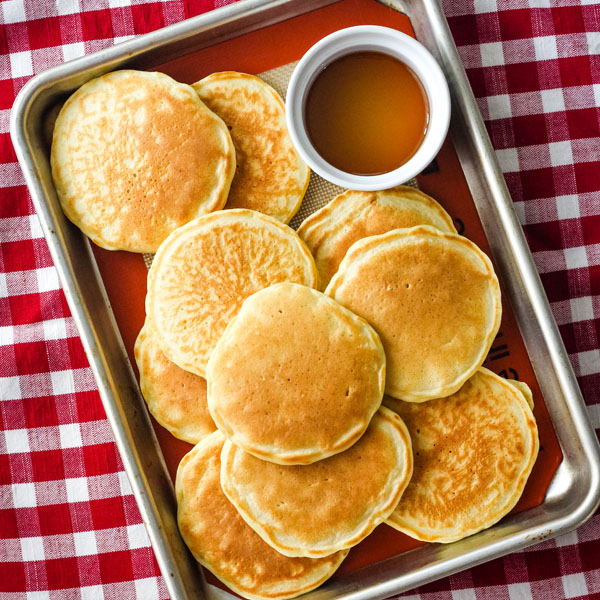 Warm syrup is the perfect finishing touch on a stack of fluffy buttermilk pancakes. 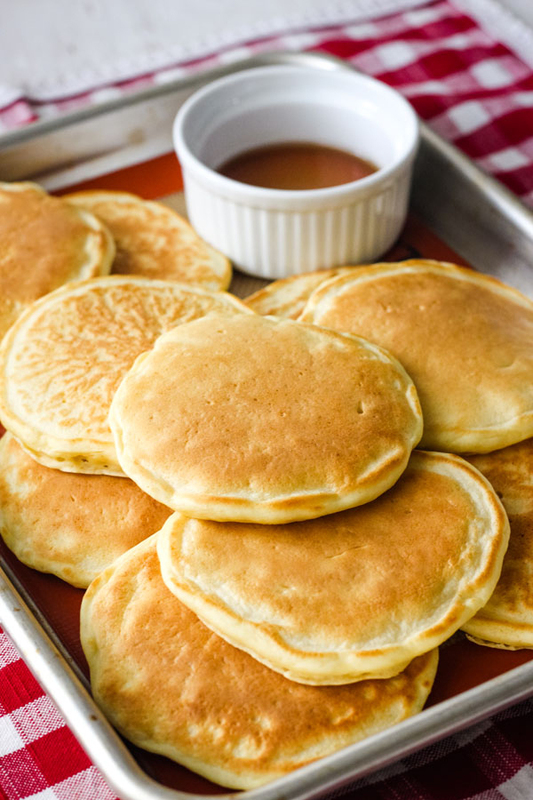 To warm maple syrup in your toaster oven just pour the syrup into a toaster oven safe ramekin (don’t use a glass one) and place on the baking sheet along with your pancakes. 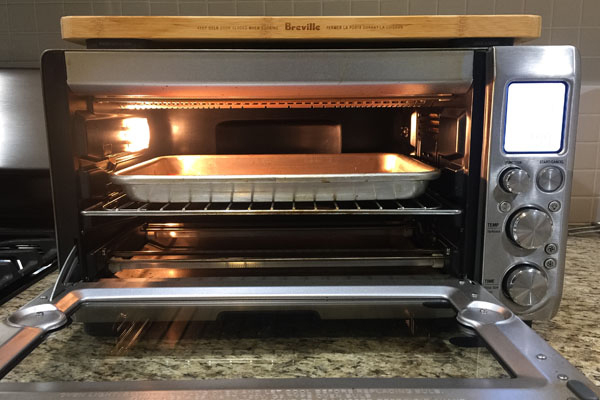 Looking for more Toaster Oven Hacks? Check out this post to learn how to melt chocolate in your toaster oven! Just hearing that you folks are getting into using the InstantPot Mini has made my day! I’m always guessing when downsizing a recipe for the 3 qt. mini from the 6 qt. Duo. Looking forward in the new year to your reports and discoveries. Thank you!